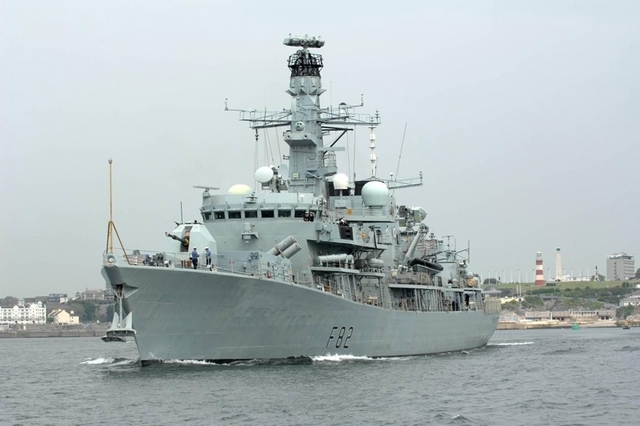 The British Royal Navy frigate HMS Somerset is currently alongside in Muscat, Oman and will help maintain UK – Oman relations and promote the role of Combined Maritime Forces (CMF) whilst in port. HMS Somerset sailed from Plymouth on 17 August and has recently commenced duties in theatre. Having recently taken over from her sister ship, HMS Monmouth, the crew are firmly focused on securing worldwide trade routes and working to deter threats to the global economic recovery. The Royal Navy is conducting Maritime Security Operations under international maritime conventions, so that commercial shipping can operate freely while transiting the region. An end to the monsoon season is expected to herald an increase in piracy in the region. The new British Ambassador to Oman, His Excellency Mr Jamie Bowden will visit HMS Somerset in Muscat and discuss the importance of Maritime Security in the region with the Commanding Officer, Commander Paul Bristowe. HMS Somerset is currently working under Combined Maritime Forces (CMF) as part of Combined Task Force (CTF)150 which patrols the Red Sea, Gulf of Aden, Indian Ocean and the Gulf of Oman. It is a multinational endeavour and exists to create a lawful and stable maritime environment free from terrorism, smuggling and other illegal activities. The principal mission is to deter, disrupt and defeat attempts by international terrorist organisations to use the maritime environment as a venue for an attack or as a means to transport personnel, weapons and other materials. Throughout Somerset’s deployment her ship’s company will conduct a series of regional engagements to enhance relations and promote the roles of CMF and the Royal Navy. She will also engage directly with mariners at sea to reassure them of the Royal Navy’s commitment to secure the maritime environment and deter illegal activity. However, she will remain at readiness to respond to any tasking, ranging from humanitarian aid to full maritime or littoral conflict. Somerset is due to return to the UK in February 2012.